When you think of all the times you've watched the news and witnessed horrible weather like hurricanes, tornadoes and blizzards and ice storms that are happening in various parts of the world, it is tempting to think "this must be as bad as it can get." Mother nature might have other plans though. Throughout the centuries, strange weather phenomena has happened, baffling meteorologists and everyone else. 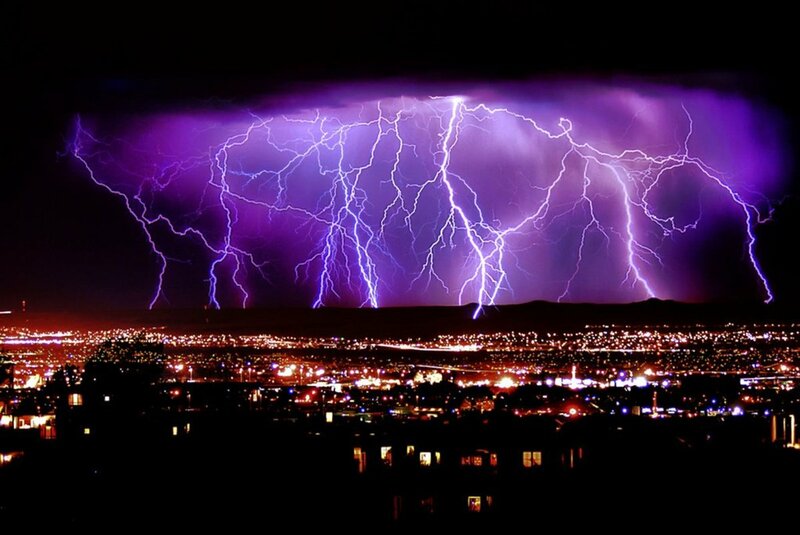 One of the strangest of these weird weather incidents is a phenomena known as ball lightning. For thousands of years people have reported this strange happening during thunder and lightning storms, when electrical glowing spherical objects enter a home looking as if they are floating. 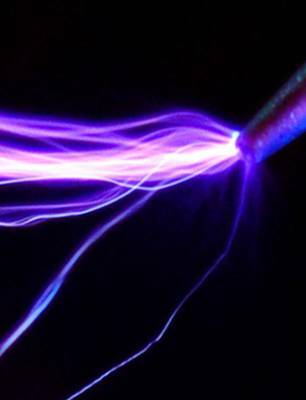 This ball lightning has no smell, no sound and the lightning balls don't give off heat. What they do is head towards something electrical in the home like a television set and then they explode with a pop noise. The danger is that they could potentially start a fire. Fortunately, this doesn't happen that often. 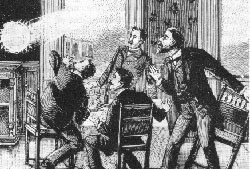 Ball lightning looks like a strange electrical glowing object that comes into the home. The balls range in size from about golf ball size to football size, and they continue to baffle everyone from scientists to the homeowner who has experienced this. There is a famous song about a Blue Moon, but there really are blue moons that happen about once every 2 1/2 years. 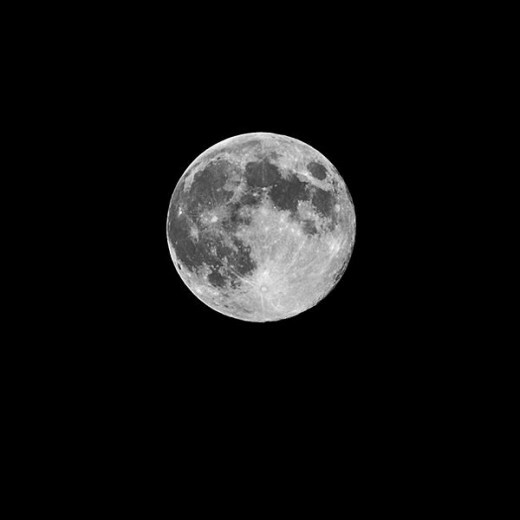 When there is a full moon twice in the same month, it is often called a blue moon. However, there is also a weather phenomena that occurs that can cause the moon to take on a blue-ish appearance. The cause of this phenomena is believed to be when things like volcanic ash and forest fires send soot high into the atmosphere. 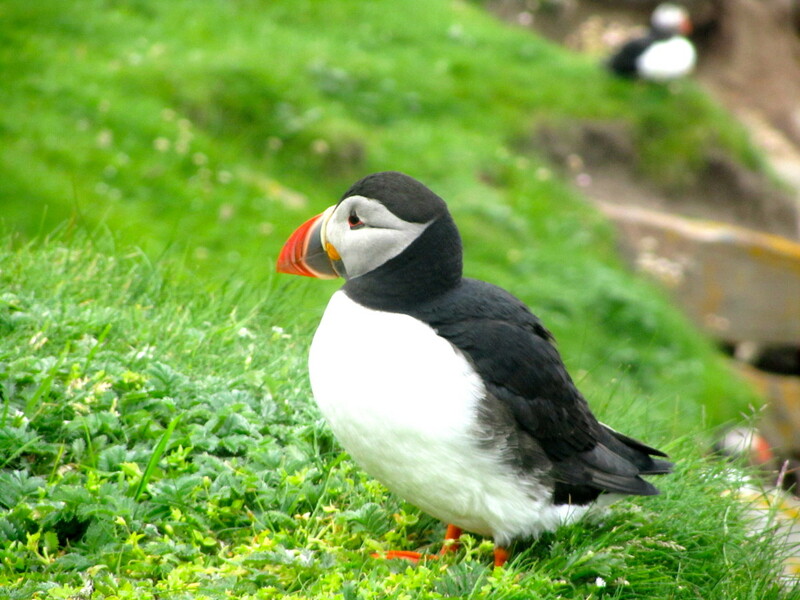 The soot mixes with water drops and can travel hundreds and even thousands of miles. These small water droplets are able to make the moon's light look as though it is scattered, creating a blue tinge to the moon. And it isn't just chicken little saying that this is happening ~ there actually have been documented cases of things like fish, frogs and other small amphibians and snakes falling from the sky on unsuspecting people. The funny thing (or maybe not so funny!) is that this has happened in places ranging from India to California to England. It can even happen in places that are far away from water. 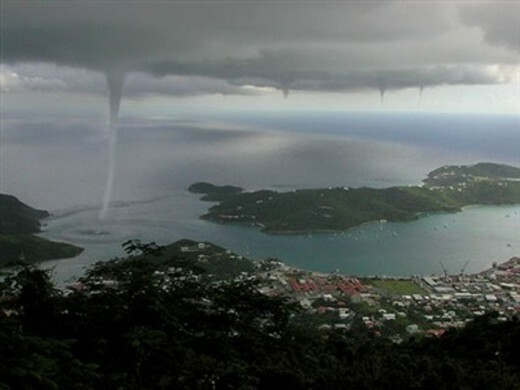 What scientists believe is that this strange "rain" is caused by waterspouts over the ocean or even over lakes that spin violently, picking up everything in their path and carrying them long distances. 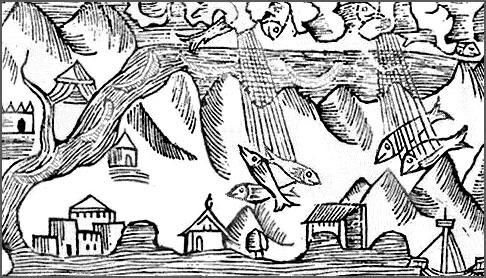 These little fish, amphibians, frogs and snakes and other small animals are carried up into a cloud and eventually they fall back to the earth, creating an appearance that it is raining small animals. 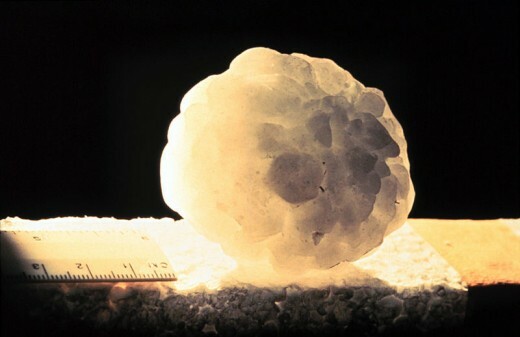 Most people have been through the experience, during particularly bad thunder and lightning storms, of hail falling from the sky. It is often described by the size of the ice particles, sometimes being called "pea size" or golf ball size, or even baseball size. How about an 80 pound ice ball falling from the sky? It's happened! Not only is it shocking when an ice ball this large suddenly falls from the sky, the ice ball breaks apart on impact sending huge chunks of ice everywhere in a shattering kind of way. Usually when this happens, people nearby are shocked by it and probably grateful that this huge ball of ice didn't hit them! Some of these giant ice balls have been blamed by ice coming off plane wings, but in the case of others, there simply is no explanation for why these ice balls ever became as big as they did. There is one phenomena that can happen to ships out at sea as well as to aircraft. When my husband used to fly during his years in the Air Force, he told me about instances when they saw something called "St. Elmo's Fire." And he wasn't talking about the movie that went by the same name! St. Elmo's Fire normally happens during thunderstorms and it has the appearance of dancing fire spouts on top of the masts of ships or near airplane wings, or sometimes even on the horns of cattle. These small static charges have a luminous appearance. They are actually created by static electricity discharges that happen during unstable air, like the air experienced during a thunderstorm. They can actually travel upwards, like when they appear at the tops of ship's masts. The best advice is to stay out of their way when you see them. Some really odd facts about St. Elmo's Fire are that it can make a buzzing or even a hissing noise when it is nearby. It also appears to be a color that can look either lavender or blue, depending on the angle it's viewed from. My husband used to tell me they would just watch it out the windows of the cockpit. It's just one of those odd, amazing weather happenings. Another phenomena are whirlwinds of either dust or fire known as dust devils or fire devils. 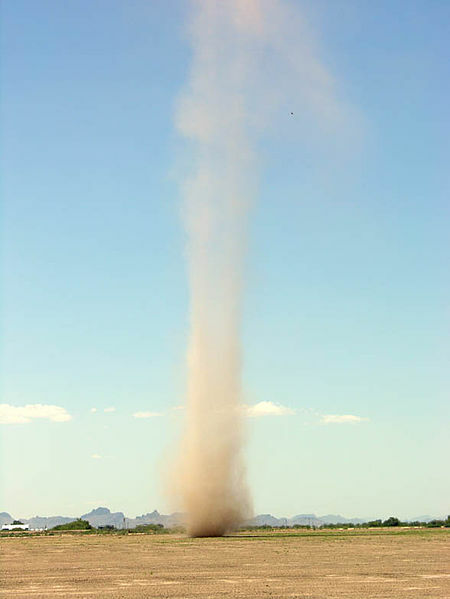 These are basically small versions of tornadoes, and in the case of dust devils, they normally happen in a desert climate. They are created when dust and debris are picked up as they form, and the dust and debris twirls around as they spin. They usually travel a short distance, then they eventually die out. In the case of fire devils, they are very dangerous and sometimes happen during a forest fire. Ropes of fire are essentially pulled up into the atmosphere, spinning high above the blaze of the fire. They are amazing to see, but very dangerous. 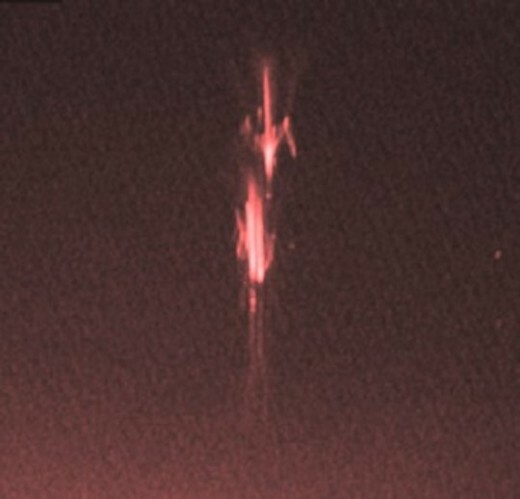 The names of these phenomena actually have nothing to do with sprites or jets. They are actually oddly colored flashes of light that occur in the atmosphere. When red flashes of light are soaring up into the air and when they happen in groups of two or more, they are known as red sprites. Another related phenomena is similar to red sprites, but it occurs at a lower level in the atmosphere. These flashes of light have a blue appearance and they form a cone shape when they happen. Another odd phenomena is known as elves. They are in the shape of a pancake and have a characteristic red glow to them. They are created by the heat from lightning forming below them. Even though these flashes of light happen very fast, often in thousandths of seconds, they are unique and strange when they do happen. Depending on the color of dust in the atmosphere, rain can come down in some strange colors. If red dust is picked up from red colored sand from a desert sandstorm, rain can come down later in red drops. These red rain storms happen from time to time in Europe when dust from a Saharan sandstorm is picked up and combined with water. The result is definitely strange looking. Other times, if there is a lot of yellow or green pollen in the air, rain can come down in these colors creating a strange effect. In towns located near coal mines, rain has been known to come down in an ominous black color. Another cause of red rain and rain that occurs in other interesting colors is thought to be airborne algae spores that color the water. Another possible explanation was found to be particles from a meteor that had exploded. 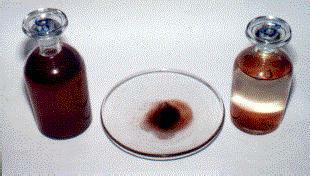 In 2001, Kerala, India, experienced red rain for a period lasting nearly two months. In fact, the rain at times was causing white t-shirts worn by some people in Kerala to turn a shade of pink. Sometimes water is picked up in the atmosphere when a funnel type cloud hovers over bodies of water, creating a water devil. If a long, spinning column of water is formed from it, it creates a strange effect. In fact, some theorists say that people who claim to have seen the Loch Ness Monster really may have simply seen one of these water devils. When they twist and turn they can create a long appearance that could be mistaken for the neck of an animal. In addition, they can also make bubbling noises or even hissing noises, leading someone to believe that they are seeing a sea creature. Mother nature (or God, if that is the foundation of your belief's) sure can throw some odd weather phenomena onto the earth from time to time, keeping things interesting and keeping meteorologists on their toes. I'm thankful that we live in a place right now that is not known for very much dangerous or strange weather. Except for an occasional dust devil, the weather here in Las Vegas is pretty temperate and mild, something I'm grateful for. 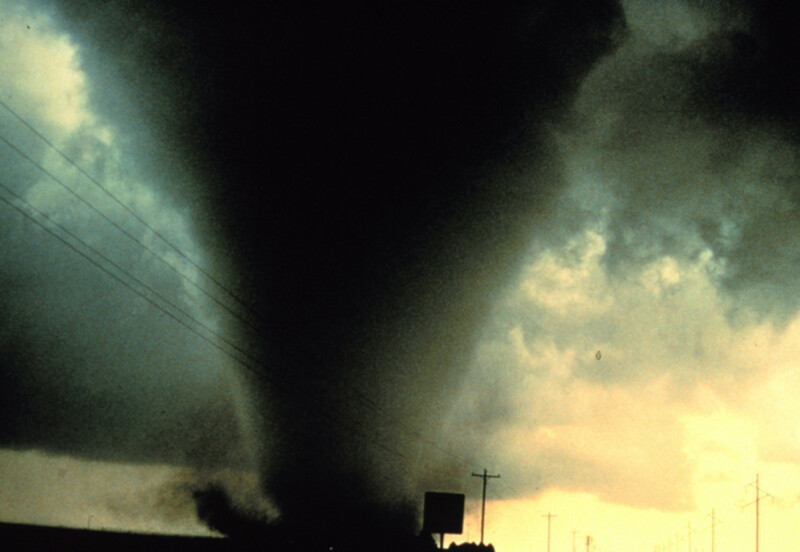 We have lived in places that experience tornado's, however, and I know how scary they can be. I remember heading for the basement in Wisconsin or for a closet that was positioned underneath a set of stairs in Maryland, so I know that tornado's are definitely not something to mess around with. Any time you hear an emergency weather siren, it's always best to listen to the radio, to a weather station if possible, for further instructions. Then be sure to heed the instructions you're given. Hopefully this odd weather phenomena won't happen too often, and not to anyone reading this. I have been thinking of creating an umbrella, though, that could capture fish and frogs if it starts raining those. I might have to save that idea for another hub. Thanks so much Sharkey11! I can't even imagine all the strange weather phenomena that can happen in Oklahoma! It seems that the state is in the news a lot for strange weather! Thanks so much for sharing your fascinating experiences! :-) You've really had some interesting ones! This was a really fun and fascinating hub to read. I have had the pleasure and the honor of having seen many strange weather occurrences. One time when I lived in SE OK, we had a thunderstorm. Being weather-buffs and storm-spotters, we of course ran out to watch. We were met with this horrible smell of dead fish, and thousands of crawdads! We lived quite some distance from any water source large enough to hold that many. The whole yard and patio was crawling with all sizes, from teeny babies, to large parents. It was very strange, but kinda cool. I have also seen St. Elmos fire, ball lightning, sprites, and dust devils. All are amazing. For some reason the place we lived at that time was really bad about ball lightning and St. Elmo's fire. We used to watch it travel across the tree tops. So glad you wrote and shared this wonderful hub! Voting you up! As a young man in Australia I was once surprised to find it raining teeny-tiny little frogs at my apartment. We were only one block from the sea so a lot of people said the frogs came from a waterspout but I am not aware of any sea-frogs. Still can't figure out where they came from exactly. That's so true, Bob! We've even been caught in the middle of a dust devil while we sat at a stoplight one time! This really IS strange weather country! :-) That was definitely a weird experience! We both live in "strange weather" country. I mean, how many other places does it rain mud on a regular basis besides Nevada? I've seen a few of these myself. Once, in the mid 70', I was in Sarasota, Florida during a period of thunderstorm activity when a water spout (a tornado touching down over water) went through a mangrove swamp before dissipating over land. About 5 minutes later it began raining tree limbs, snakes, and small alligators over a fairly large area. One I didn't know existed but saw last fall over Lake Tahoe were "snow devils." I'm guessing formed the same as dust devils but over the lake in a snowstorm. Warmer air from the lake rising into colder air-causing swirling columns of air to dance across the water. I think this phenomenon is more common than we think but is invisible until the air picks up dust or whatnot making it visible. This was a very entertaining and interesting hub. I live in the southern US. Most of what we have here are thunderstorms and tornadoes. I found the sprites interesting. We do have water spouts off the coast on occasion and they are very scary to those who see them. What an exciting hub post! I saw this Tom Cruise movie once where they showed frogs (I think) falling from the sky. Now that I've read your wonderfully researched and written hub, I know the real reason had nothing to do with scientology. : ) Have a nice weekend, my friend! 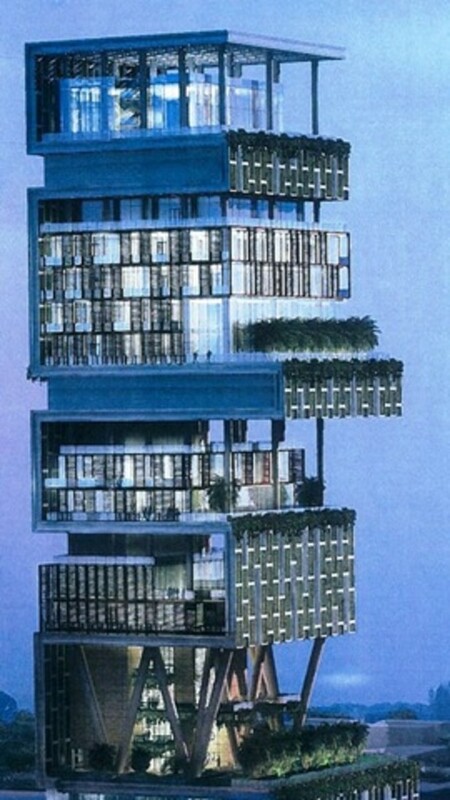 It is obvious that you put a lot of work into this hub. I am going to vote it up and interesting because I have never heard of any of these types of weather occurances. Pretty weird, but great job on your part! Excellent! I'd heard of some of these but didn't know the details. Ice balls are something I'd never heard of and find so surprising. Not much happens weather wise where I live either. Wow KathyH, I really learned a lot. This was very informative, well researched and well-written! Very interesting, Kathy! I knew about a few of these but you taught me some great stuff here. Thank you!